Experience part II of a three-night filmmaking evolution from story to script to screen. This month: The Script. Six members of Alliance of Women Directors — Shilpa Mankikar, Donna Wheeler, Sarah Bullion, Julia Camara, C.M. Landrus, and Shea E. Butler — have penned short scripts inspired by last month’s storytelling event where AWD members took to the stage and shared personal true stories. Join us at El Cid on Thursday, August 23rd, for a night of live readings and meet and mingle with AWD members. 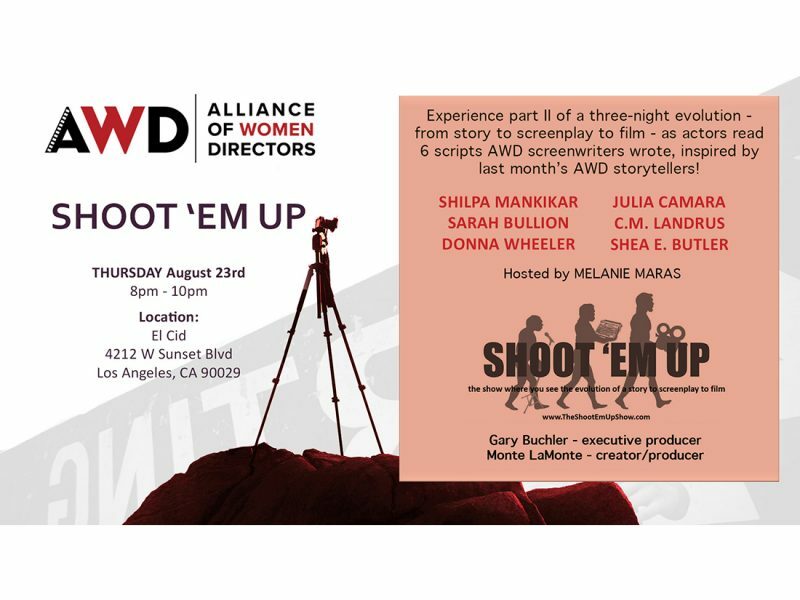 Shoot ‘Em Up is a Los Angeles based show produced by Gary Buchler (Los Angeles producer of The Moth) and Monte LaMonte (All the Feels, Monte Eats) that explores the evolution of a story, to a script, to a film & takes place over three events during a two-month period. Starting out with a night of storytelling, 6 storytellers tell true stories from their lives. Those stories are then given to screenwriters who have a month to create a short screenplay (5-6 pages) inspired by the story they are assigned. We come back a month later and have a live read of the screenplays. The screenplays are then given to filmmakers who have a month to shoot a short inspired by the screenplays. And for one last time we come together again and screen the shorts inspired by the screenplays (inspired by the stories). It’s one amazing game of cinematic telephone! 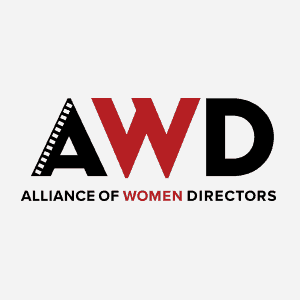 Alliance of Women Directors fosters a community of professionals to advance the art, craft and visibility of women directors in film, television, & new media.